There’s nothing quite like the feeling of having renovations finally come to an end. 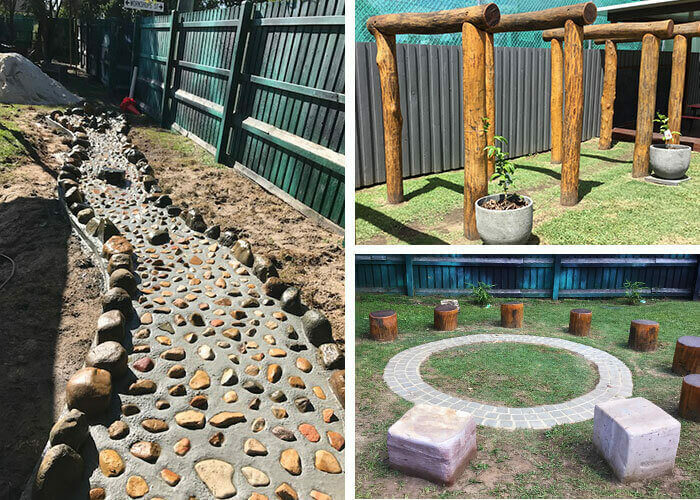 The team at Brassall Early Learning Centre know the feeling as they have just finished renovations on their outdoor space – and it really was worth the wait. Outdoor environments are important for a child’s development as they provide opportunities for experiences that indoor environments may not. From exploring the weather, connecting with nature and having the space and freedom to run, children learn so much from being outdoors. Originally, the centre’s outdoor area was old and outdated with limited learning spaces for the children to explore. However, the educators made the most of what was on offer and adapted it to suit the needs of the children. Children at Brassall Early Learning Centre are learning about how to take care of the natural environment through quality learning and free play learning experiences. They are also building relationships with each other and resources and learning about natural occurrences. “We also have trees that attract birds so this stimulates children’s thinking and interests around natural habitats and how it offers a home and food for birds. The children are also developing respect for the natural environment by exploring interactions between people and environments,” says Liz. One of the most popular features of the yard is the musical area and the log stumps of different sizes where they work on gross motor development and challenge their physical capabilities. The sand pit and deck areas are also areas children love to explore. 2018 is set to be a fantastic year at Brassall Early Learning Centre. There are plans to bring a strong culture and learning around sustainability and natural environments, the team will also be looking more into developing stronger community connections and more involvement within the service. We are looking forward to seeing what happens in 2018 with Brassall Early Learning Centre! Explore the centre for yourself by booking a tour here. Do you know the signs of heat stress in children and what to do?